West Ham United academy product Josh Cullen has revealed his ambitions of becoming a regular for the Hammers next season. Currently on loan at League One side Charlton Athletic, the 22-year-old has impressed while playing under former Hammer Lee Bowyer, and Cullen hopes his performances haven't gone unnoticed by West Ham boss Manuel Pellegrini. Speaking to the ​London News Shopper, Cullen explained: ​“I’ve always said I want to break into the ​West Ham first team. I’ve really enjoyed my time here [Charlton] from the start, everyone been brilliant to me since I’ve joined. 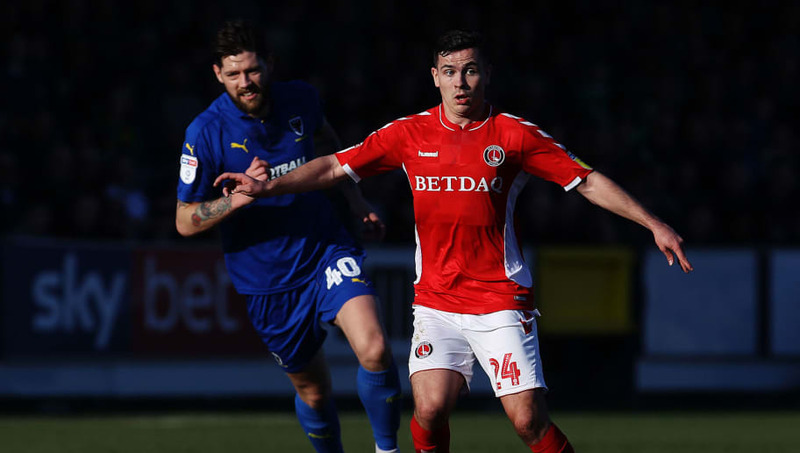 The central midfielder has spent three seasons away from the London Stadium in the lower leagues, gaining first-team experience with Bradford City, ​Bolton Wanderers and now Charlton. Cullen, who has made nine appearances for the Hammers including two starts in the Europa League qualifying round as a 19-year-old, received his first international call-up for the Republic of Ireland in March but was an unused sub. Although Cullen may already have one eye on next season, his mind is focused on helping the Addicks, who are comfortably in the play-off places, gain promotion to the ​Championship before fulfilling his West Ham dream. “The short-term goal is to give everything for Charlton, finish the season strongly and hopefully achieve promotion. Cullen's parent club are next in action on Monday night, when they will travel to Stamford Bridge to take on London rivals ​Chelsea.